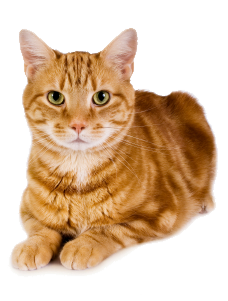 Our Cat Motel is run by our veterinary nursing team and this means that any medical conditions can be catered for and the veterinary surgeon will be consulted should there be any problems. There are both single and double accommodation therefore cats from the same family can stay together and feel more at home. Individual and special diets are catered for or you can bring your own food to make their stay more comfortable. We request that all cats are vaccinated against Feline Enteritis and Cat Flu. This is to safeguard the health of all boarding cats. You are encouraged to bring along any bedding, toys, blankets or anything that will enable your cat to feel at home. We recommend that cats are booked in well in advance, especially at peak holiday times to avoid disappointment as places fill up fast. Currently our costs are £7.80 per night or £12 per night for 2 cats sharing. Prices are subject to change. Contact us for full details.